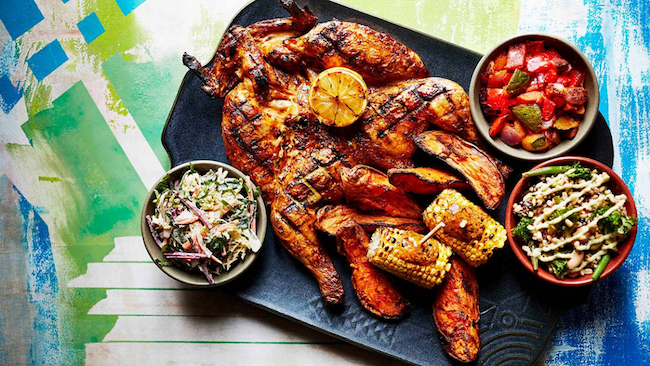 This November, you can join Nando’s and D.C. Central Kitchen to help feed families in need. The story of Nando’s PERi-PERi chicken started in 1987 with Fernando Duarte and Robbi Brozin’s glorious adventures in South Africa. During their explorations, the two smelled the delicious aroma of the African Bird’s Eye Chili, known as PERi-PERi, and discovered that the taste of the mouth-watering chicken was something that needed to be shared with the world. Since that day, the two entrepreneurs have taken the delicious PERi-PERi chicken to all corners of the planet, and this holiday season, they’re looking to you to help spread the good cheer even further. This November, Nando’s PERi-PERi is launching the “Friends, Giving” platter at all of its restaurants to help feed DMV families in need. The platter is perfect to share with your own family and friends and includes a whole flame-grilled PERi-PERi chicken cooked to each guest’s preferred flavor and spice, a side of garlic mashed potatoes, and roasted Brussels sprouts. However, it’s also the perfect meal to share with the community. For every “Friends, Giving” platter sold, Nando’s will donate to D.C. Central Kitchen, one of the area’s first and leading community kitchens. Together, the two organizations will fight hunger and feed thousands of families this holiday season. "With Thanksgiving around the corner, we want to give back to the communities where we live and work," said John Fisher, CEO of NAndo's PERi-PERi USA. "We have partnered with D.C. Central Kitchen in the past, and admire how they care for and respect impoverished families and people in our area." So, if you want to fill your belly, warm your heart, and help a family in need, head to Nando’s PERi-PERi this November for their magnificent "Friends, Giving" feast. At just $29.99 a platter, you can bring some family cheer to the dinner table. Let us know if you’re dining in at Nando’s this November! Have a wonderful holiday season with all of your family and friends! Tired of cooking the family feast? These are the D.C. restaurants serving Thanksgiving dinner.